What Are the Most Venomous Spiders in California? 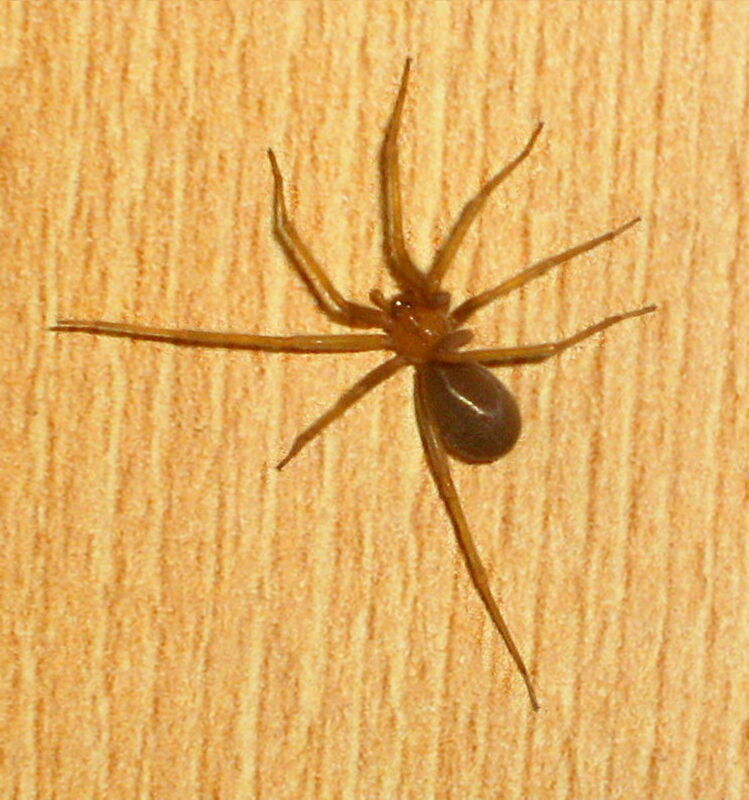 Black Widow bites are somewhat common in the California, since this spider often lives in close proximity to humans. Although threatening to humans, death from a Black Widow bite is rare nowadays, thanks to the development of anti-venom. Pain and discomfort is most likely to be the worst result of a bite, and often there may be little to no effect. Recluse bites tend to be rarer in California, since the desert recluse, as implied by its name, resides in areas largely uninhabited by humans, and the Chilean recluse is only present in a few limited areas of Southern California. The most common species of recluse spider in the United States, the brown recluse, cannot be found in California. Below is a full description of each spider type, including information on their habitats, behaviors, and bites. As its name suggests, the Western Black Widow (Latrodectus hesperus) is found across western regions of the United States. Is the Western Black Widow Venomous? When it comes to bites, females are the ones to look out for, as it is they who carry potent venom containing neurotoxins. 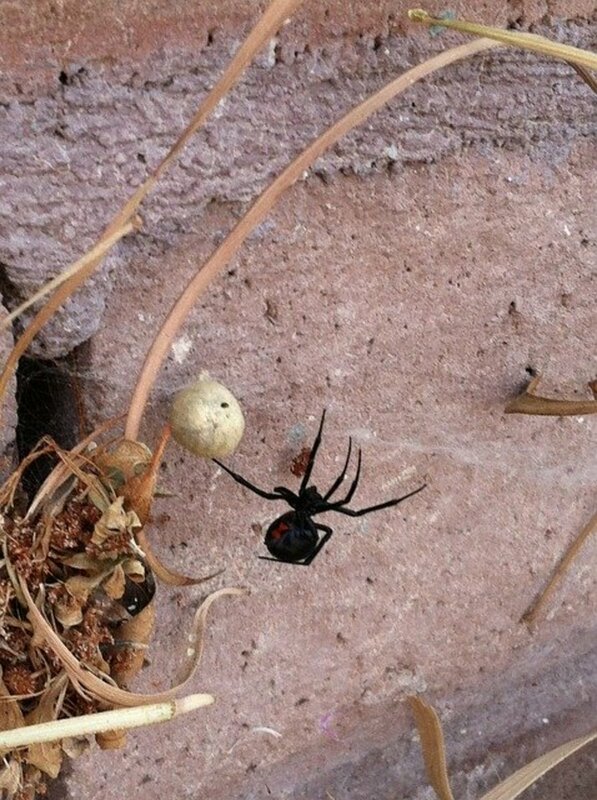 What Do Western Black Widows Look Like? 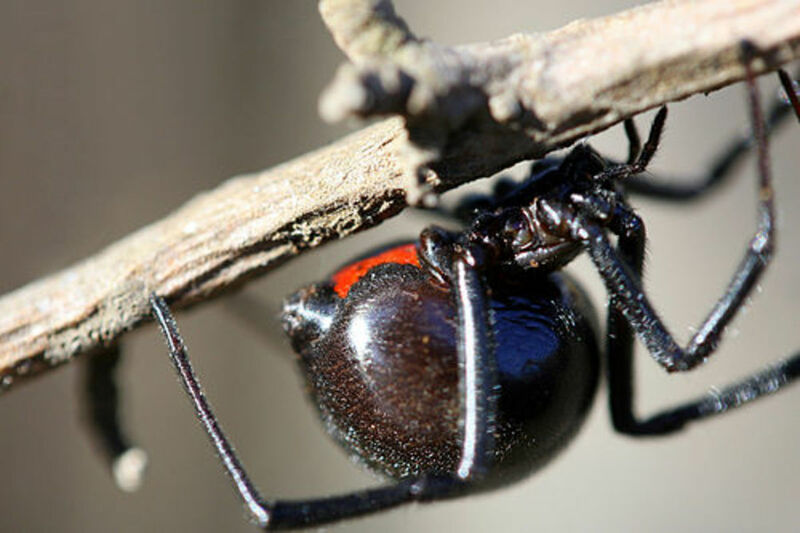 Female Black Widows are jet black in color and have a distinctive red hourglass-shaped marking on their lower abdomen. In some cases, the hour glass can be yellow in color, or even occasionally white. Their bodies are usually 12-16 mm in length, or 1/2 inch. Male Black Widows look nothing like their female counterparts. 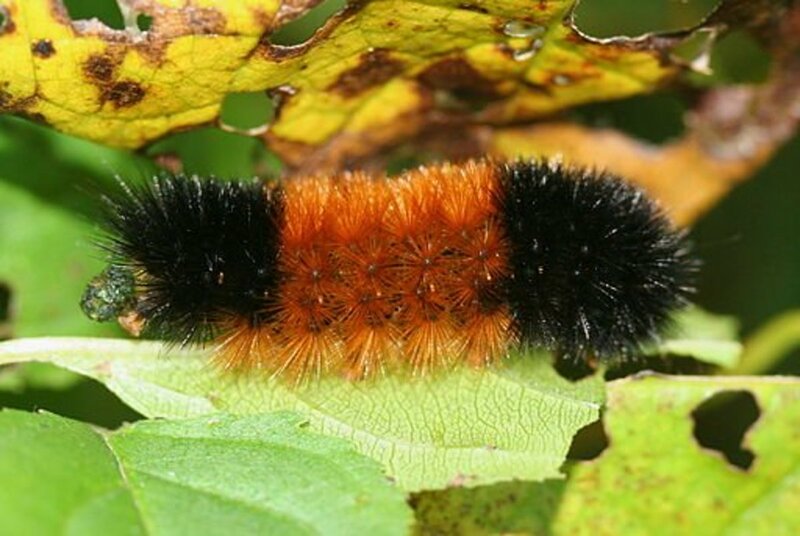 They are brown to orange in color with light striping on their bodies, and are generally harmless. The males are also smaller. 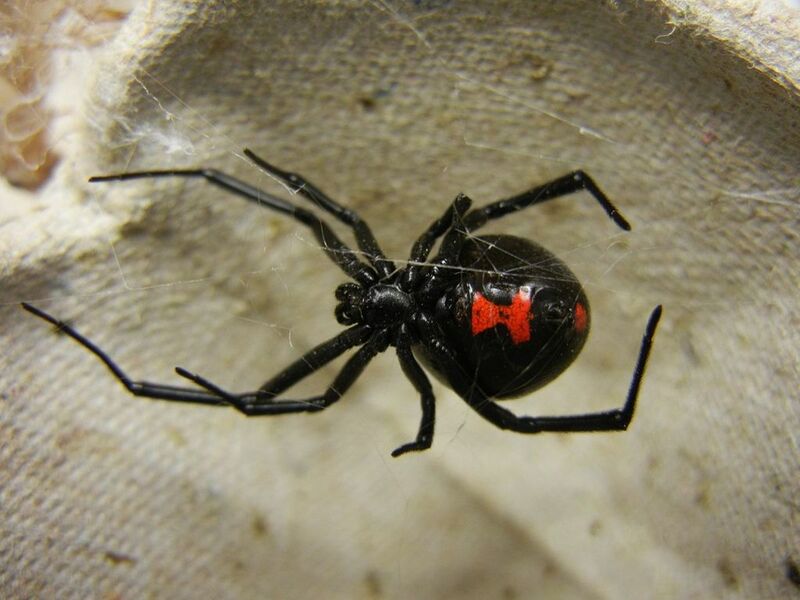 If you discover a web in your home, you may be able to discover whether or not it was the work of a Black Widow. These spiders do not follow any organized pattern when making webs. Unlike the tunnel webs or spiral webs that some other spiders make, Black Widow webs look messy and three-dimensional. 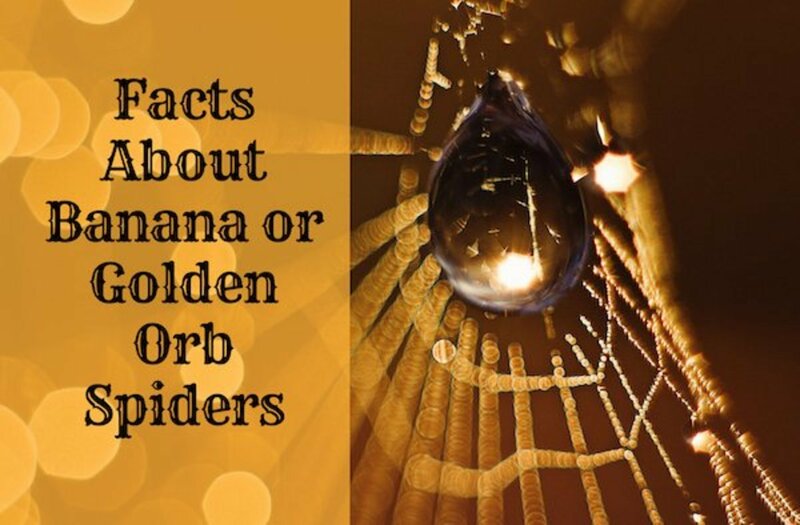 They will commonly hang upside down near the center, and when they sense an insect (usually through vibration, rather than by vision), they run over and bite it before covering it in their web. What Happens If You Get Bitten by a Western Black Widow Spider? Widows have a fearsome reputation when it comes to venomous bites, but the truth is you are unlikely to die when bitten unless you are particularly old and frail, or a very young child. Still, treatment should always be sought straightaway. It should also be noted that Western Black Widows are generally timid and will almost always try to run away if they feel threatened. The only exception is if a female spider is guarding her eggs, or if she is accidentally pinched or pressed against. This can occur when someone puts on a glove or shoe with a spider residing inside of it, or if someone is reaching around in an area where a widow lurks, such as a high shelf or a dark recess. Note that the bite itself may feel like a small pin prick or may not be noticed at all. The symptoms don't usually take effect until one to three hours after the bite. At first, the venom only affects the area of the bite. Over time, the poison gradually travels through the body via the lymphatic system, and eventually makes it into the bloodstream. Symptoms normally persist for three to five days. It is extremely unlikely that a widow bite will be fatal if the victim receives immediate medical treatment. You should never try to treat a Western Black Widow spider bite at home. If you have been bitten, consult your doctor immediately. Depending on your reaction to a poisoning via a spider bite, your doctor may prescribe pain medication for relief. You may also be given medicine to lower your blood pressure, which may spike as a result of a bite from this type of spider. If the bite is severe, you may need muscle relaxants or anti-venom. In some cases, you may need to be hospitalized. Wash the bite thoroughly with soap. Apply a wet or damp ice pack for 10 minutes at a time. Take 10 minute breaks in between. The Desert Recluse is the commonest type of recluse found in California. This species inhabits the eastern desert regions of the state. Bites from these spiders are rare, as theyspiders are not usually found in areas that are highly populated by humans. There are also Chilean Recluses in the Los Angeles area of California. These are considered one of the more toxic species of the recluse family. Are Brown Recluse Spiders in California? Although brown recluses are common in many other parts of the United States, they do not inhabit the state of California. The only recluse spiders that can be found in California are the desert recluse and the Chilean Recluse. As their names suggests, recluse spiders are not aggressive by nature. They tend to bite only when pressed against human skin, for example when an article of clothing is put on in which a recluse is living. Recluse spiders are generally timid and seldom seen by humans. 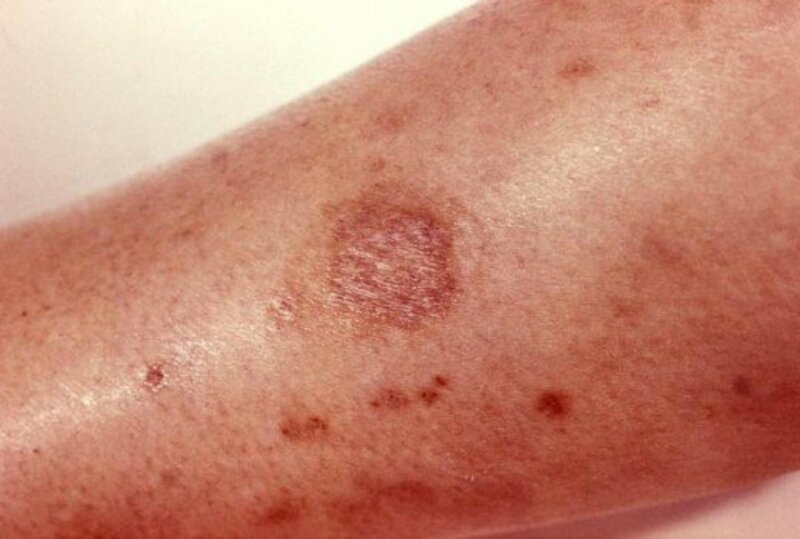 Bites usually occur when someone feels around in an area that they can’t see, or when someone puts on an old item of clothing that the spider was hiding in. Both the desert recluse and the Chilean recluse are varying shades of solid brown or tan. What Happens If You Get Bitten by a Recluse Spider? The effects of a recluse bite can vary enormously, from virtually no effect to death (in very rare instances). Symptoms of a bite typically start between two to six hours after receiving a bite. Unfortunately, there is no effective anti-venom for recluse bites, but by receiving medical care soon after being bitten, the bite can be treated. It should also be noted the recluse bites are often inconspicuous. As with Western Black Widow bites, go to the hospital right away if you are bitten by a recluse spider. Below are some steps you can take beforehand to treat a recluse spider bite. Keep the location of the bite raised to reduce swelling. Apply ice to the location of the bite. What Is the World's Deadliest Spider? The deadliest spider in the world is the Brazilian Wandering Spider. This is a large, brown spider resembling the North American Wolf Spider, but it is bigger and carries more neurologically active venom. This type of spider resides in Central America, and is an active hunter and traveler, hence its name. Like other spiders, it tends to hide in small, cozy spaces. 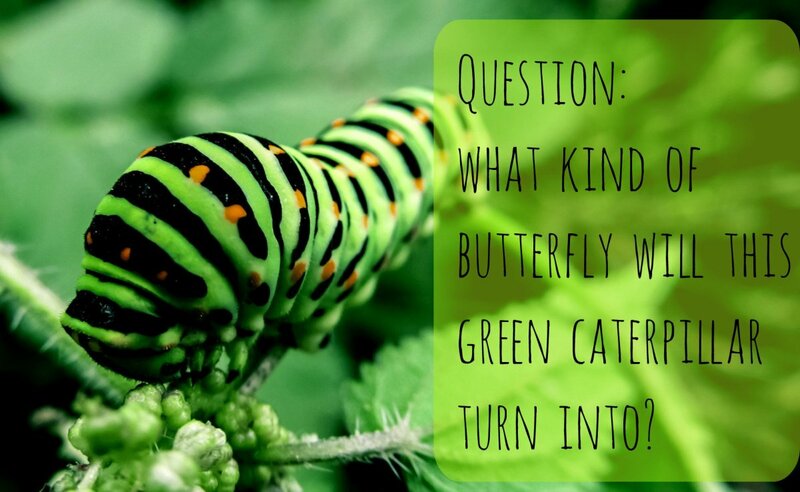 It can also burrow into fruits and foods. The Brazilian Wandering Spider, or BWS, as it is often referred to, will sometimes bite without administering its venom. However, if venom is administered, the receiver will feel immediate pain and a muscle shock. Multiple deaths have occurred within minutes of a bite. Some deaths have occurred even after anti-venom was administered. 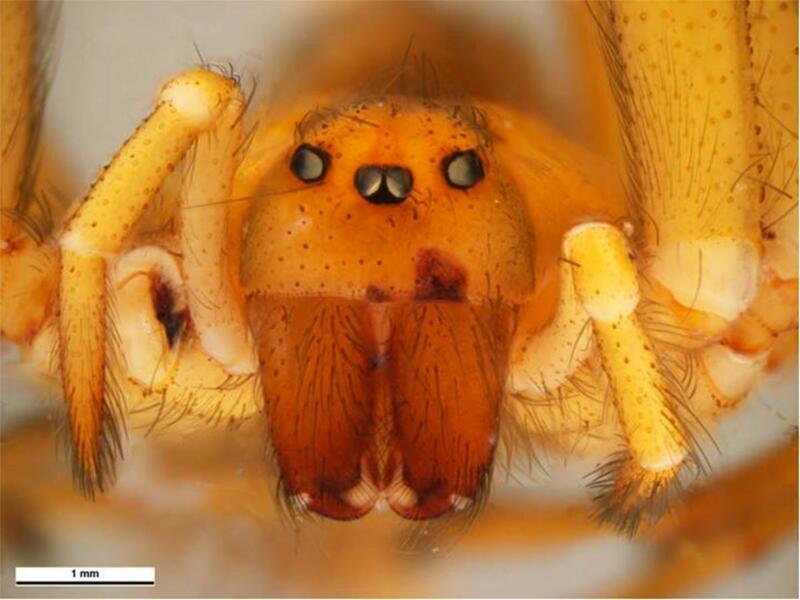 Children and seniors have a higher risk of death if bitten by this deadly spider. As with most spiders, the female Brazilian Wandering Spider carries more venom and is more aggressive than the male. "Black Widow Spiders". Orkin Pest Control. Retrieved 19 June 2017. Burkhard Bilger (March 5, 2007). "Spider Woman: Hunting venomous species in the basements of Los Angeles". The New Yorker. Vetter, Rick. "Myth of the Brown Recluse Fact, Fear, and Loathing". UCR Spiders Site. "Western Black Widow (Latrodectus hesperus)". The Royal Alberta Museum. The Royal Alberta Museum. They are VENOMOUS not poisonous. Idk the actual differences between the two other than that you can drink venom and not die but i have heard of someone drinking a lot of rattlesnake venom and dying on A 1000 ways to die. (Not a very credible source noting that some of the people they say die actually get hospital treatment and live example: death by soy sauce) perhaps venom can only be biologically created and poison must be chemically created but again...theres no actual difference in that either. You know, if the Brazilian Wandering Spider wasn't so deadly, I'd almost want to keep it as a pet. It just looks so soft and I think it's kind of cute how it just wanders around exploring everything. I love reading Chatroom Forums, as there is always that one person who can’t resist but to get so fired-up about a particular topic, almost as if they are about to have a stroke or heart attack. And, for those who are interested, the Stroke, in addition to the Heart Attack, do exist in Southern California, contrary to popular opinion. Trust me, my dad is a doctor, who has told me a countless number of stories. I live in San Diego, California (not San Diego, Texas), and have spent more time outside in many gardens, in addition to having either lived or spent a good amount of time, in countries around the world. That being said, I know a thing or two about bites, insect or otherwise. Remember that Southern California is a desert climate. As a result, it is safe to assume that there are likely Brown Recluse spiders that have been able to adapt fairly well to the arid conditions, that is after they were stopped at the Arizona-California State-line, but happened to make it across the border without being caught. They are likely residing with your next door neighbor and you would never have suspected such a thing could be possible. Let’s be honest, with the vast territory, terrain, open land, parks, and basements left unfettered, I am personally very surprised there haven’t been more confirmed sitings of these rare arachnids, or identification of other new insect species, considering the changes in weather and climate we have seen within the past 20 or so years. These changes would undoubtedly create an advantageous environment for some creature. To say that the Brown Recluse cannot possibly be present in California is comparable to saying that there are no illegal immigrants living here either. You may not see them, but they are around us, blending in with their environment. I do not profess to understand, nor belittle, significant scientific findings, however California is a very large state, with extreme changes in climate. As locating the Brown Recluse is likely not at the top of the to-do list for scientists, or the State of California, it is quite possible that they do reside here, but are extremely rare and perhaps more docile than their midwestern brethren, which could explain the lack of documented bite cases to support this, or any other claim. That being said, due to all of the time I spend outdoors and in gardens, I literally get bitten by spiders on a weekly basis; I would say daily, but I would be lying. The point is, I work in dark crevices and spaces, without much regard for safety, as I use my bare hands, as opposed to wearing gloves, in order to be able to handle orchids, and other plants, with a finer touch. I normally do not notice having been bitten, nor by what insect, or more specifically, which taxonomy of spider. However, within several hours, I will notice a rash, scratch, or some other area, in which histamines have been released, at which point I take the necessary precautions and do my best to deal with the situation, never having to be taken to the hospital, even though I know that I have been bitten by some aggressive spider, with venom and neurotoxin. I have more scars than most groups combined, which should tell you for certain, that I have undoubtedly been bitten by some form of Recluse, Brown Widow, or Black Widow spiders in my lifetime. The point I am attempting to make, is that even if it were a Brown Recluse spider, versus the Chilean Recluse, it really doesn’t make a difference, as there is no anti-venom for these bites, so what difference does it really make?! If we were talking snakes, I would understand the need to differentiate, so that one could receive the proper treatment for th venom. 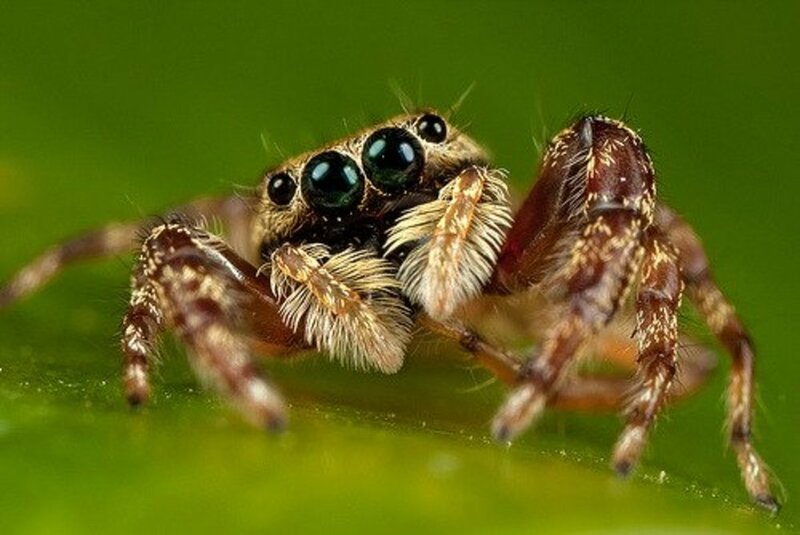 Since we aren’t discussing snakes, just know that being scared of spiders is pointless, their bark is truly worse than their bite, and as long as one takes the necessary steps to educate themselves, use common sense, and keep a good hygienic routine, you may start to look at spiders as just another insect, a Beautiful insect which should be revered. How do you poison, kill spiders ? Any spider ? There was a brown recluse in my bed a few days ago. I got up to turn on some music and before I sat down again I saw it and now I keep it as a pet. Dan, Black Widows were at on time bred because their webs were used as cross bars in rifle scopes. The webs were stretched and dyed black and used for the scopes. That was several decades ago, and I'm not sure if it's continued to be done. I have both black widows and brown recluses around my houses in Manteca, California. I have personally seen them, killed hundreds of black widows each year, since the army thought it was good idea to breed them for some reason. I have killed a number of brown recluses already this year after cleaning my storage. So I promise you that they are here in california. oh...and, lighten up, Herbie! ;-) There absolutely have been brown recluse sightings in Southern and Northern CA. Google it. Most brown recluse spiders found in California have come by way of travel from other states, or countries. For instance, my ex husband was bit from inside his apartment in Woodland Hills, CA. Most people who live in the building travel most of year. Many from India. The spider was in someones suitcase and when they unpacked the spider crawled into his apartment. The desert recluse is the commonest type of recluse to be found in California. This species inhabits the eastern desert regions of the state. Bites from these spiders are rare as they are not usually found in high population areas, so encounters with humans are limited. There are Chilean recluses in the Los Angeles area of California. These are considered one of the more toxic species of the recluse family. There have been cases all throughout Northern California, ESPECIALLY around Sacramento of brown recluse bites. Confirmed. By specialists! So many people in construction recognize the spider when asked if they’ve seen it. Who the hell is saying there are brown recluses all over the place except California? Do you have the spiders in your hand counting them off one by one? So far the evidence just seems outdated. A bite I had was consistent of a recluse bite(even if it wasn’t brown recluse). Unless you have a thorough, trustworthy, and updated research labs results, then I’m going to go with what current evidence suggests- there are brown recluses in California. Please share if you have a current, trustworthy, and thorough article. (lab results, where study was done, by who, for how long, what methods, etc) Thank you. I live in San Jose California and there is an abundant population of brown recluse spiders I know many people who were hospitalized for their bites. They may have not originally been a native species I don't know but they are definitely here now. Anyone here who says that they, or that someone they know got bit by a brown recluse in California, doesn't know wtf they are talking about. THERE ARE NO POPULATIONS OF BROWN RECLUSE SPIDERS IN CALIFORNIA. I understand how convinced you are, and what the doctor said, or how the wound looked exactly or felt exactly like a recluse bite. Or how the symptoms were exactly like a recluse, etc. etc. etc. But the science and facts are that you were mistaken. Sorry. Most recently, my church sister, Celine has been off work now for a few months after she went into cardiac arrest and mearly had her leg amputated from tbe bite of a recluse spider. While concluding the burial ceremony for her Aunt; as mourners were leaving, Celine said she remembered watching the spider move about during the service but refocused her attention on the ceremony and she saw it again as she got up to leave and tripped and had fallen near THE AREA of the spider. She was helped up and remembers not seeing the spider again after her fall. Well turns out...that spider got on her clothing and crawled under her pants and bit her leg a short time after her fall. BECAUSE SHE WAS A BIG PERSON weighing nearly 350lbs she suffered many organ failure issues and stayed in hospital 2 months and now walks with a cain. She lives in the Bay Area of CA. She was hospitilized at Highland Hospital. I live also in Bay Area and am witness to seeing them and black widows in my suburban community in my back yard sheds and wood piles. I see some very ugly and scary spider in my home as well and so far not one of the two venomous ones. Celine recommends peppermint oil to clean walls, floors, and window (and cracks) along with keeping a tidy home throughout so they do not feel welcomed. I am scared since this has happened to Celine. So you can say there are no recluses in CA, but you would be wrong. There are always exceptions. As per UC Riverside's research, there are probably no significant, established populations of brown recluse in Cali. 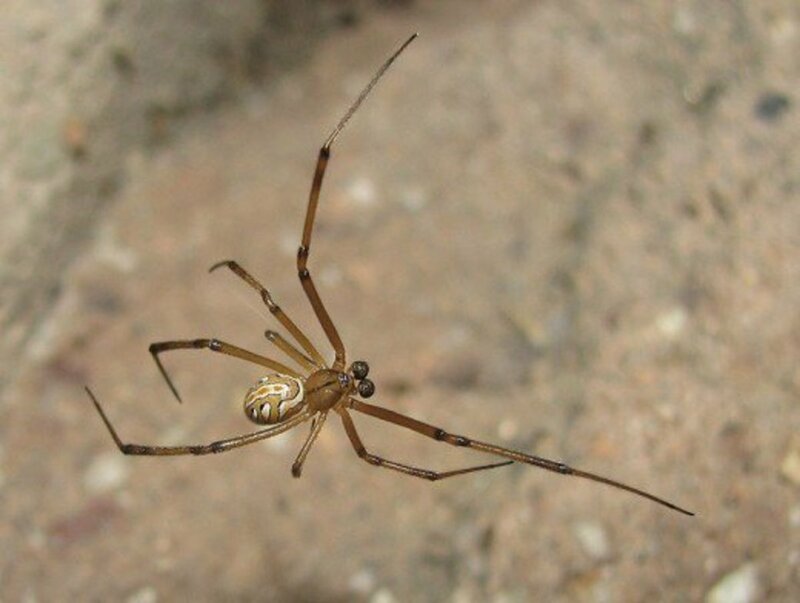 The vast majority, if not the totality, of supposed brown recluse bites occurring in the state are probably bites from another species of recluse (the Chilean recluse bite, for example, is particularly nasty and can cause severe necrosis and require hospitalization). 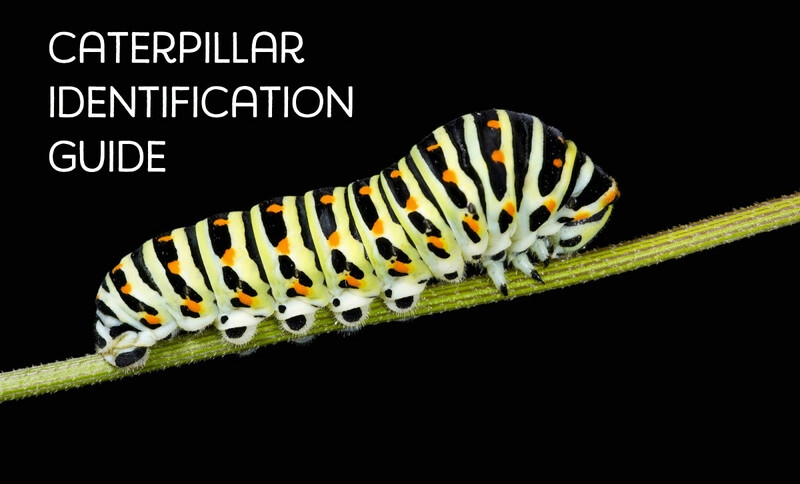 Many commenters report the identification made by a physician as definitive, but a physician is not an entomologist! They probably properly identify a spider as a recluse, but their expertise is not in differentiating among all the species of recluse. Brown recluse is the one that everyone's heard of, so that's going to be the one most commonly named. Having said that, all these pronouncements that no one could have ever seen a brown recluse in Cali are equally absurd. The amount of human and vehicular travel into the state is astronomical. It's conceivable that several brown recluses periodically come across state lines--in someone's luggage, in cargo, ...etc. You can't dismiss an account with 100% certainty just because the probability that it's accurate is low. OK, you all can go back to drooling on yourselves now. I got bitten by a brown recluse in L.A. We flew it to the hospital where it died shortly after it bit me. Very scary. Sorry Tom, UCR doesn't have the staff to look around all of California, what a joke. They didn't find any in their search, but they are not the pinnacle of researchers lol. There are no brown recluse spiders in CA, however there are recluse spiders. The Arizona Recluse, Baja Recluse, Chilean Recluse, Desert Recluse, Martha's Recluse, and Russell's Recluse can all be found in certain parts of California. Although they are not brown recluse they are very similar and do have the same type of venom. My husband and I were both bitten by recluse spiders in San Diego. It was documented and photographed by our physician. My husband got the worst of it but both of us suffered necrosis and staph. Our condo was infested with them in our closet and they were found in our clothes. We still have the scars. They do exist in CA. Who died? Your dad or the doctor? I think if you believe everything you read or hear on the internet... Then come buy some authentic Big Foot pictures from me. I too have had friends claim they seen them or have been bitten by them. Creatures do migrate. More often then not things get misidentified and myths become facts. Anyone can write a story. Visit a University, speak to a person in that field. Call a pest control guy. One post someone tells the story of something personal the next post someone tells that person they are lying. I want to play. My father was a teacher who was bit by a brown recluse in La Habra California. He went to the docs and they told him there are no recluse spiders in CA. He died. I know 2 teachers who were bitten by brown recluse spiders. They both spent time in the hospital and said they they has abcesses on internal organs. There are no recluses in california. Sorry....they DO exist in nor cal. My boss in Pollock Pines was bit in the calf, was flown to UCSF, had to have a lot of tissue and muscle removed, hospitalized quite awhile and most of his back calf was permanently gone. They had the spider and it WAS identified as a brown recluse. Granted this was a long time ago (early 90s) but they are seen at times up there. they never hitch rides on trucks or all the daily cars,they check them at the arizona ,california border...also i think summers are a bit warmer with drought....vallejo ca and also desert areas have had brown recluse..i bet you can find on youtube...also call the ca pest control..the boa constrictor wasn't supposed to migrate to places they are now either. Two quick things- my MIL was bit years ago by a brown recluse in Petaluma, CA. She became very ill and was hospitalized at petaluma Valley Hospital. I believe that there are some in NorCal. Secondly, I can on here to research in regards to who to talk to about spiders in our area. I came across one in my yard that I am pretty sure was a Brown Widow, and I have never seen one in our area. I heard that they had made their way to SoCal, but have never heard of them in NorCal. Any suggestions? My friend found one in California when doing a bug collecting project for college in orange county. There was a journal paper published on it and everything. That said the reason the paper was published was because they aren't really found in California so it was a big deal. No Brown Recluse in California ....!!!! Tony Tee, check it out and learn how to identify a Brown Recluse. Scott, you took the spider to the medical center and they identified it as a brown recluse ....???? So the doctors are also entomologists ....???? Ryan, maybe you should be doing the research ....!!! NorCal girl, you should contact UC Riverside and tell them about your evidence.... !!! If you do some research, there are populations of recluse spiders in the southern deserts of California. But they are not the brown recluse. They could be the desert recluse or the Arizona recluse. They are related but are not the brown recluse. I have personally seen brown recluses and so has my dad. I know for a fact there are some here. Maybe not big populations but they are here. I am not miss identifying them either. I live in so cal. Once had a server pain in the leg. When I looked it was a large red rash with a small cut. A day later it swelled up and the small cut grew very large. 7 months later I still have a puffy scare. Does that sound like a recluse bite? I look at Google images and it was similar to a recluse, about twice the size of a black widow bite. What do you guys think? Sorry but you are wrong. I am a licensed exterminator who is in the field every day. If you don't believe me, do a google search. The pest control industry, US government & ALL entomolgist/arachnologist agree that there isn't a brown recluse population in California. If you are the cynical type (its a coverup!) consider this. Have you ever seen a pest control ad in California for brown recluses? Seems like a pretty big money maker considering the fear-mongering & hysteria... but legally we cannot treat for a target pest if that target pest doesn't exist in our area. Think about it and do your own research, don't trust the testimony of that guy at a bar who swears his uncle/neighbor/ex-roommate knew a guy who knew a guy who saw one. Esteban Vildoso actually they have migrated or been brought over to California, in recent years, we used to only worry about widows but now we have the recluse as well, maybe before talking down to someone who gives an informative article do a little research to see if the info you have is still viable. I actually live in Petaluma ca, and work for the garbage company in the north bay and I come across brown recluse spiders, co workers run into them and Heard stories of them being in homes in Santa Rosa as well!! Why are you talking about brown recluse spider's they don't live in California. I lived in Arizona for four years, and encountered a few Black Widow's during my time, and after seeing the pictures and video of the Brown Recluse, I am pretty sure I came across one of those, as well. Nasty little creatures! Very useful!